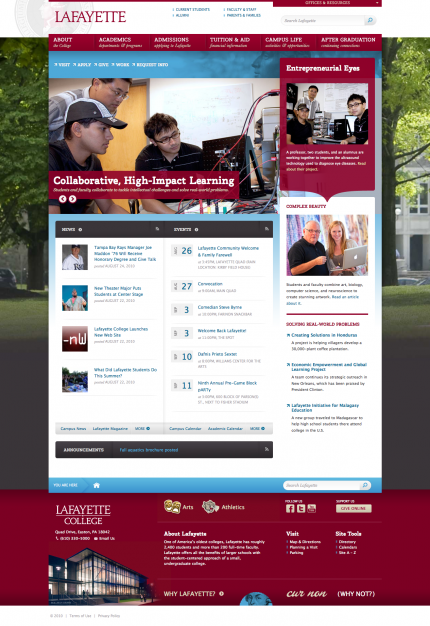 Lafayette College launched its redesigned web site on Sunday at www.lafayette.edu. Viget worked with the Easton, PA-based liberal arts college for the past six months to redesign the main Lafayette.edu web site. support users by making relevant, engaging content easy to find online. 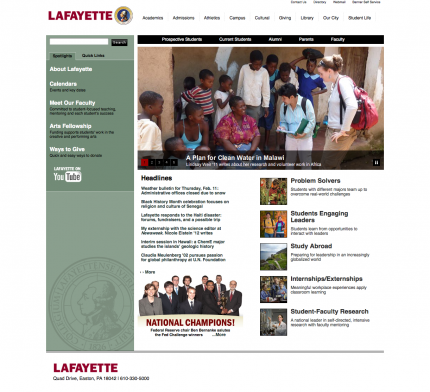 We are convinced that this new site will be a vital source of information and will play a new, enhanced role in communicating what is exciting and special about Lafayette to all our audiences. We invite you to take a look at the finished product. Congratulations to the Lafayette team on the launch!